One of the new and most popular ways of playing Blackjack online is by playing the Live Casino games that many of our top rated online casino sites now offer their players. 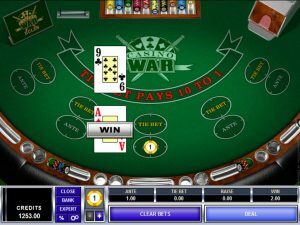 These games are played with real life dealers, located in a land based casinos dealing out cards via a video broadcast, and thanks to the wonders of the internet you can now place a bet on those Live Blackjack games from anywhere in the world. As the popularity of Live Blackjack has grown, it soon became apparent that there were not enough of these Live Blackjack tables to accommodate the huge number of players wishing to play them at anytime of the day or night, and this has led to some online casino software companies designing something known as an Unlimited Live Blackjack game. Thanks to the unique way these games work, each Live Blackjack table can have an unlimited number of players playing at them, and below is a definitive guide to how Unlimited Blackjack games work and are structured, which will certainly enlighten you on how one single Blackjack table can accommodate an unlimited number of players at any one time! When you come across one of these Live Unlimited Blackjack tables, like the Playtech powered tables you encounter at their casinos like Winner Casino, you will notice that there are five positions available, and as a player you are permitted to place a wager onto any of those positions, however be aware that every other player playing at that particular Blackjack table is also allowed to play those positions also, however this will have no effect on your game, and this is an important factor of these types of casino games. 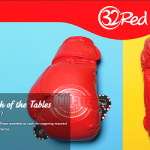 You are also going to notice that alongside the base game betting box is also an optional side bet wagering opportunity, and this is something known as a Perfect Pairs bet, you are never under any form of obligation to place this side bet, you can if you like just play the standard base game wager. Let us now cover how you play Live Unlimited Blackjack, once you and all other players have placed their respective wagers onto the table then each player will receive their own initial set of cards, if you like the look of your hand and choose to stand that hand, however if any other player who is also playing that hand decides to hit their hand or even Double Down that hand when permitted to do so then they are permitted too however this will not have any effect what so ever on your hand which you may be sharing with them, even if they bust their hand your originally stood hand will remain in play on the Blackjack table! Be aware that there is a special set of rules regarding splitting a hand, and as such when a pair of cards which are listed on this set of rules that can be split, players must either split those cards or fold their own hand, you are not permitted or allowed to stand a hand when it is listed as a pair of cards that can be split, so please familiarize yourself with which pairs can be split and which can’t and be prepared to base your decision on whether to split your hand or fold your hand accordingly! If any pair of cards that can be split get dealt out to you and you prefer not to stand them and fold your hand instead your stakes, less a 20% commission will be returned to you and you will then have to wait out the game as you will no longer be part of that game! If you opt to split any permitted pair a new wager has to be placed onto the Blackjack table from your casino account balance to pay for the new hand formed, and you will then, when it is your turn, get to play out each hand as usual with the permitted betting moves available to each hand, hitting or standing etc. 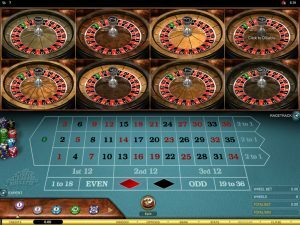 It may take you some time to fully master the finer aspects of playing this Live Unlimited Blackjack game online, however once you do you will find it a thoroughly enjoyable game to play, before you do give it a try for real money as mentioned above, please make sure you understand fully just which pairs of cards are permitted to be split and folded, and be prepared to make either playing option when those hands are dealt out to you. As this Blackjack game variant is of course a Live Blackjack game that does men that you are going to be able to see all and every aspect of the game playing out on your computer screen, thanks to a live broadcast you will see the Dealer dealing out the cards, shuffling the decks and you can also communicate to them via a chat room feature. You can also, if you wish, communicate and chat to any of the many other players sat around your Blackjack table, however many players do tend to find the chat feature an unwelcome distraction when playing Blackjack online and as such you can always turn off the chat room should it not appeal to you or you simply wish to play in a more solitary fashion. 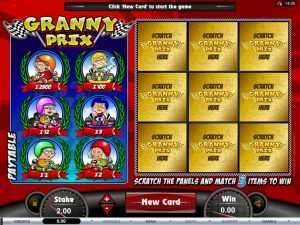 Do give this game some play time when you next see it on offer at any online casino you are playing at for it really does offer a brand new and unique type of gaming action which you may just warm to! As you can see from the above description and structure of Unlimited Blackjack games, they have been very well thought out, and thanks to these types of casino card games being fully tested out you should have no problems playing them. With Live Blackjack being so popular then the only way many online casinos can cope with the huge number of players now playing such games is via these Unlimited Blackjack game structures, and always be aware that the house edge and game playing rules on these games do not force you to make any compromises when playing them online! If you are ready to give it a go, you can try Unlimited Blackjack game over at the casino Winner.com Live Casino . Currently they have a €35 Free New Player bonus that requires that more than €35 are deposited, and wager at least €800 within 5 days. Alternatively, just get there VIP high roller bonus that will give you €1,250 on your 1st deposit!